In the present study, H2/air CRD is achieved in a hollow chamber with Laval nozzle both experimentally and numerically. Three rotating patterns are obtained, which are one-wave, two dominant peak one-wave (TDPO), and two-wave modes, and the flow-field structure and effect of the nozzle contraction ratio are detailed. Both the propagation frequency and detonation wave number increase with the increase of equivalence ratio (ER) or nozzle contraction ratio. 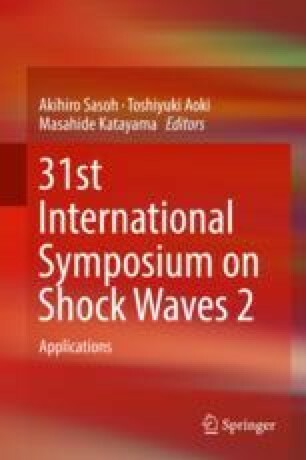 Shock wave reflection occurs at the nozzle converging section, and its upstream reflected shock wave will interact with the fresh mixture zone and inlet, leading to different rotating patterns and propagation characteristics. The authors gratefully acknowledge the support of the National Natural Science Foundation of China (No. 91541103 and No. 51476186) for this work.